Photos & writeup submitted by Josh Dewitt. Back on Thanksgiving Day, 2013, a friend and I were hiking the McGillivray Falls trail. It was getting late, so we figured we’d start heading back to Winnipeg. After about 5 minutes of driving, a big animal ran in front of my car. At first I thought it was just a white-tailed deer, but as it ran across the ditch, I saw its tail. I slammed on the brakes. I slowly got out of the car, and there it was, sitting on the other side of the ditch. He stayed around for at least 10 minutes, sniffing the ground, and wandering back and forth. He allowed many good pictures. We were ecstatic! 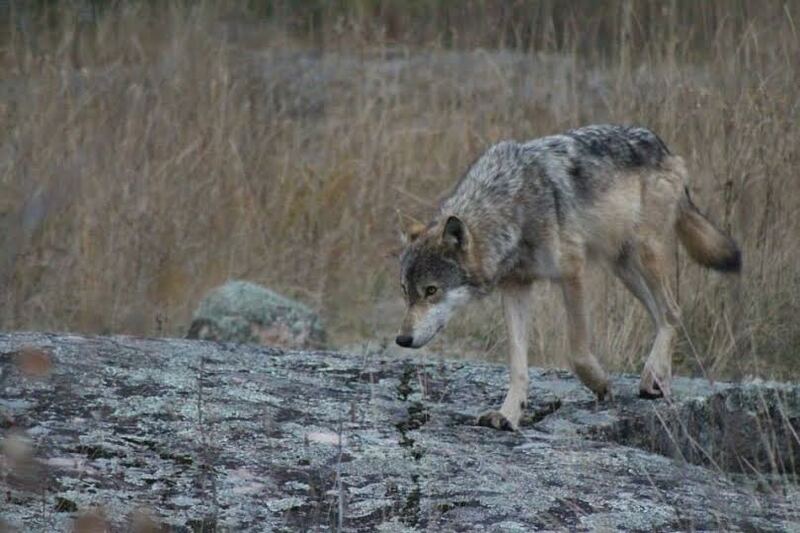 This is the first wolf sighting we’ve had in the park, they’ve eluded us for years. I myself have heard packs howling at Otter Falls, Big Whiteshell, and have found fresh tracks along the Pine Point Rapids trail several times. This entry was tagged Caddy Lake, Grey Wolves, Highway 44, hiking, McGillivray Falls, Timber Wolves, West Hawk Lake, wildlife, Wolves, Wolves of the Whiteshell. Bookmark the permalink. 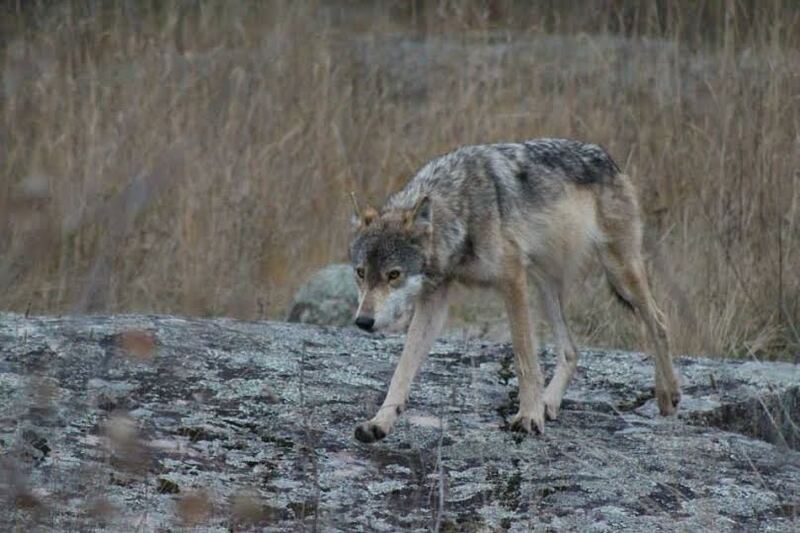 Have had a few encounters with wolves in the Whiteshell. All very positive. Thank you for sharing and your wonderful pictures. I have either not had my camera or have not been quick enough to get any shots. Great to hear you enjoy them, Cindy! If you get lucky enough to get a shot next time, be sure to send them to whiteshell.lakes@gmail.com, we’d love to share them!